The binary encoding of many radar products is a major obstacle for many potential radar users. Often, decoder software is not easily available. In case formats are documented, the implementation of decoders is a major programming effort. This tutorial provides an overview of the data formats currently supported by \(\omega radlib\). We seek to continuously enhance the range of supported formats, so this document is only a snapshot. If you need a specific file format to be supported by \(\omega radlib\), please raise an issue of type enhancement. You can provide support by adding documents which help to decode the format, e.g. format reference documents or software code in other languages for decoding the format. At the moment, supported format means that the radar format can be read and further processed by wradlib. Normally, wradlib will return an array of data values and a dictionary of metadata - if the file contains any. wradlib does not support encoding to any specific file formats, yet! This might change in the future, but it is not a priority. 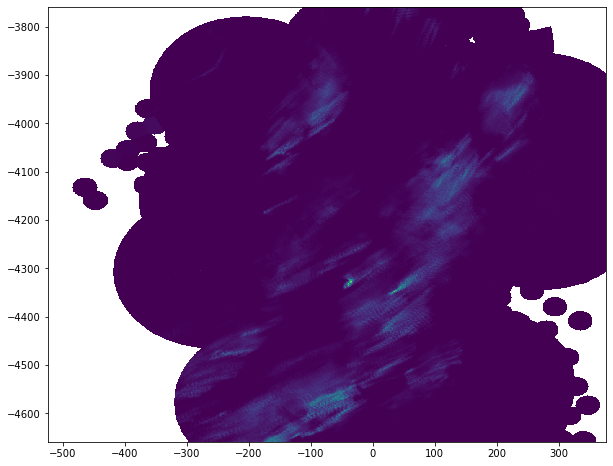 However, you can use Python’s netCDF4 or h5py packages to encode the results of your analysis to standard self-describing file formats such as netCDF or hdf5. In the following, we will provide an overview of file formats which can be currently read by \(\omega radlib\). Reading weather radar files is done via the wradlib.io module. There you will find a complete function reference. Here, data is a two dimensional array of shape (number of azimuth angles, number of range gates). 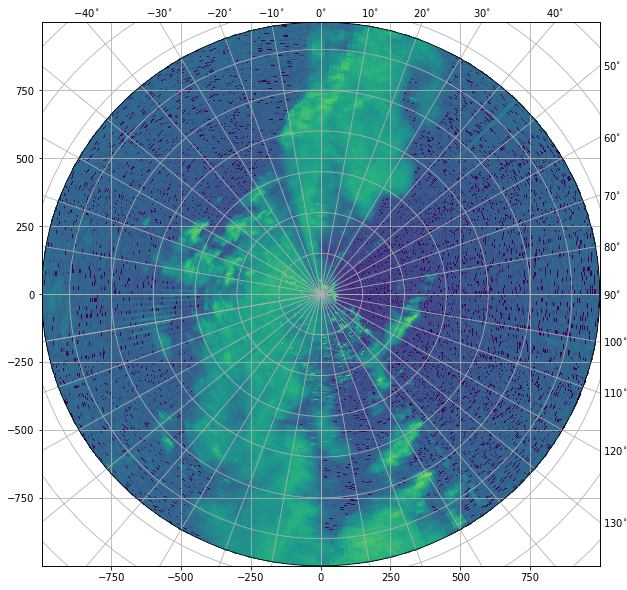 This means that the number of rows of the array corresponds to the number of azimuth angles of the radar sweep while the number of columns corresponds to the number of range gates per ray. Here, data is a two dimensional integer array of shape (number of rows, number of columns). Different product types might need different levels of postprocessing, e.g. if the product contains rain rates or accumulations, you will normally have to divide data by factor 10. metadata is again a dictionary which provides metadata from the files header section, e.g. using the keys producttype, datetime, intervalseconds, nodataflag. HDF5 is a data model, library, and file format for storing and managing data. 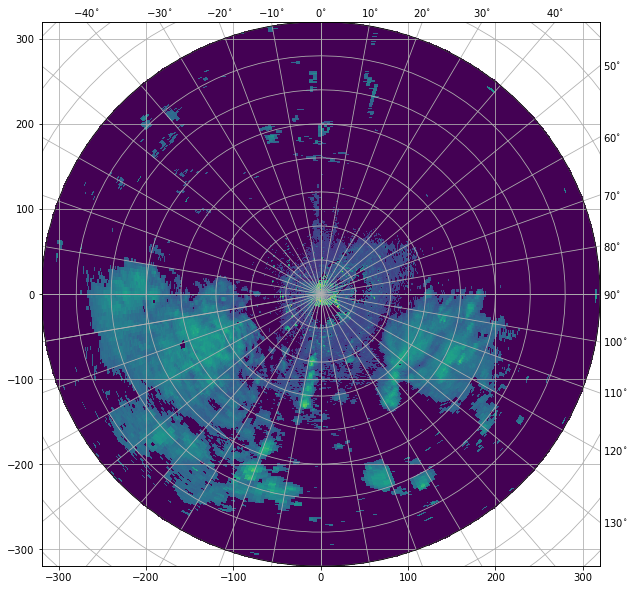 The OPERA 3 program developed a convention (or information model) on how to store and exchange radar data in hdf5 format. It is based on the work of COST Action 717 and is used e.g. in real-time operations in the Nordic European countries. The OPERA Data and Information Model (ODIM) is documented e.g. in this report. Make use of these documents in order to understand the organization of OPERA hdf5 files! # which keyswords can be used to access the content? Please note that in order to experiment with such datasets, you can download hdf5 sample data from the OPERA or use the example data provided with the wradlib-data repository. While metadata represents the usual dictionary of metadata, the data variable is a dictionary which might contain several numpy arrays with the keywords of the dictionary indicating different moments. This is a generic hdf5 reader, which will read any hdf5 structure. The NetCDF format also claims to be self-describing. However, as for all such formats, the developers of netCDF also admit that “[…] the mere use of netCDF is not sufficient to make data self-describing and meaningful to both humans and machines […]” (see here. Different radar operators or data distributors will use different naming conventions and data hierarchies (i.e. “data models”) that the reading program might need to know about. \(\omega radlib\) provides two solutions to address this challenge. The first one ignores the concept of data models and just pulls all data and metadata from a NetCDF file (wradlib.io.read_generic_netcdf(). The second is designed for a specific data model used by the EDGE software (wradlib.io.read_edge_netcdf()). Please see this example notebook to get started. Rainbow refers to the commercial RAINBOW®5 APPLICATION SOFTWARE which exports data in an XML flavour, which due to binary data blobs violates XML standard. Gematronik provided python code for implementing this reader in \(\omega radlib\), which is very much appreciated. You can check this example notebook for getting a first impression. IRIS refers to the commercial Vaisala Sigmet Interactive Radar Information System. The Vaisala Sigmet Digital Receivers export data in a well documented binary format. The philosophy behind the \(\omega radlib\) interface to the IRIS data model is very straightforward: \(\omega radlib\) simply translates the complete binary file structure to one dictionary and returns this dictionary to the user. Thus, the potential complexity of the stored data is kept and it is left to the user how to proceed with this data. The keys of the output dictionary are strings that correspond to the Sigmet Data Structures. WARNING \(\omega radlib\) does currently not support the BUFR format! The Binary Universal Form for the Representation of meteorological data (BUFR) is a binary data format maintained by the World Meteorological Organization (WMO). 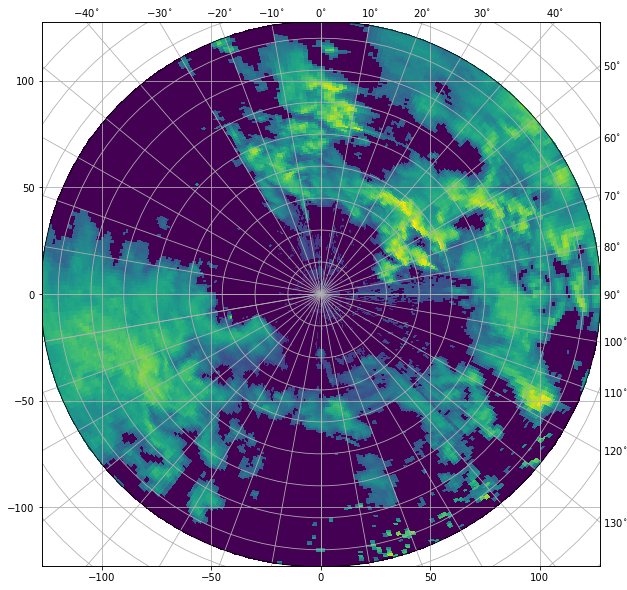 The BUFR format was adopted by OPERA for the representation of weather radar data. A BUFR file consists of a set of descriptors which contain all the relevant metadata and a data section. The descriptors are identified as a tuple of three integers. The meaning of these tupels is described in the so-called BUFR tables. 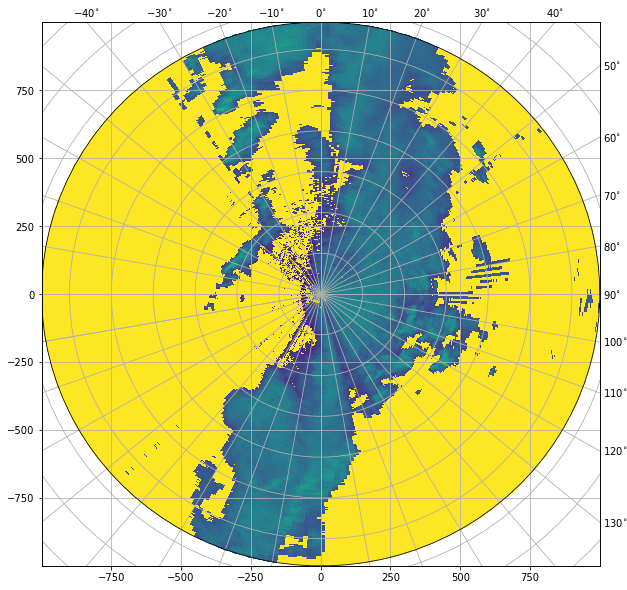 There are generic BUFR tables provided by the WMO, but it is also possible to define so called local tables - which was done by the OPERA consortium for the purpose of radar data representation. If you want to use BUFR files together with \(\omega radlib\), we recommend that you check out the OPERA webpage where you will find software for BUFR decoding. In particular, you might want to check out this tool which seems to support the conversion of OPERA BUFR files to ODIM_H5 (which is supported by \(\omega radlib\)). However, you have to build it yourself. It would be great if someone could add a tutorial on how to use OPERA BUFR software together with \(\omega radlib\)!